Last month, we blogged details and a preview of the newest Kazuo Umezu release, REPTILIA. It was scheduled to be out by Halloween, but it sounds like that was re-scheduled for November. 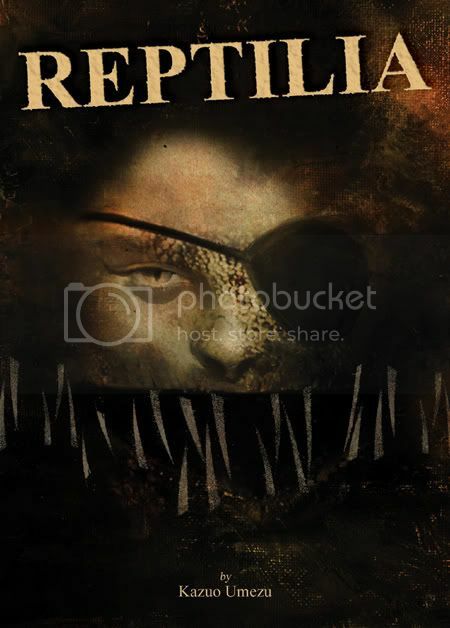 Reptilia marks the first manga license for the publisher IDW (famous for the 30 Days of Night series). "We’re starting with the father of horror manga. We’re starting with the guy who’s credited with establishing this genre."